I am an anxious person. It gets worse as I get older...and more hilarious. This summer was, for me, the summer of DOOMTEETH. In the space of two months, I went to the dentist 4 times and completely blew out the dental insurance that I had never even used before. In an effort to minimize my anxiety...I decided to paint my nails. It sorta helped. 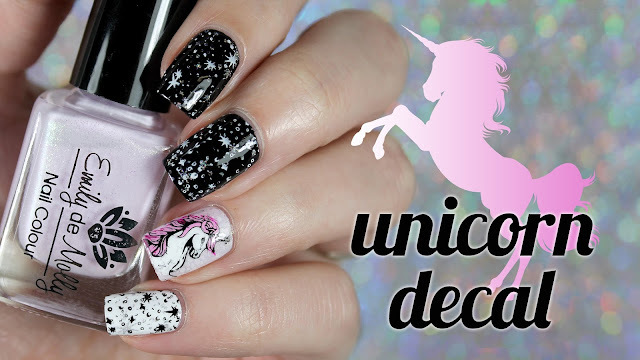 I have been lusting for this EdM polish for years. Well, maybe just one year. A lovely friend sent it to me, and I was saving it for a special occasion. Once my teeth started their war, I knew my occasion had arrived. Having pretty nails made me feel better, but really is was all for naught. The dentists I encountered were completely not murdery, and now I have some functioning teeth. Huzzah. But the next step is my wisdom teeth...and that might require a Louboutin or something! Hngh. That polish. Those aqua glitters! I'm in love. 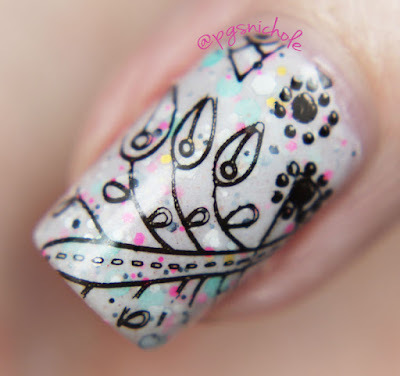 I love the black stamping so much! And this polish is fantastical. Also stop making me want everything. That EdM shade is so adorable! Woah! I bow before you. Stunning!! Dental anxiety is the legit worst. 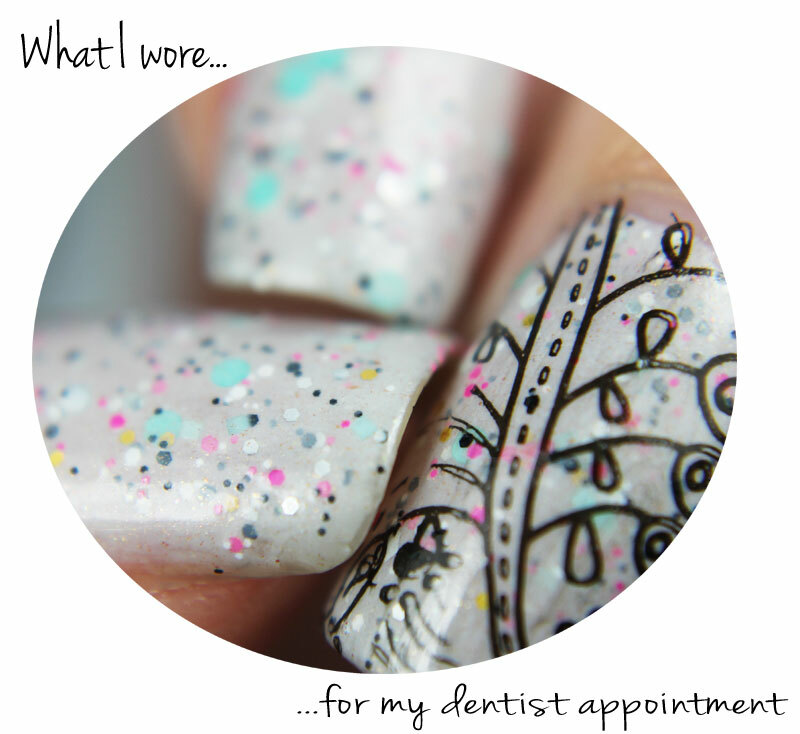 These nails are gorgeous, so I'd say your plan worked! Aw I'm sorry about the anxiety. I am going through a bit of that myself right now. 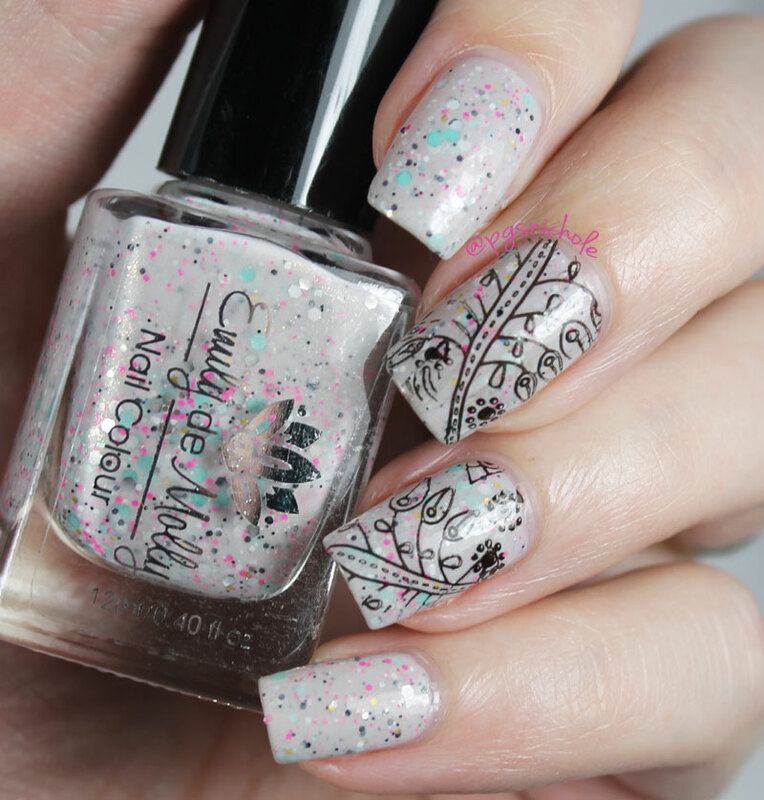 The mani looks so gorgeous though, the stamping is perfect over the crelly. Boo, anxiety :( I love this polish! Oooohhh nooooo. Going to the dentist is the worst. ESPECIALLY when there's something wrong. I'm sorry you had to deal with doomteeth!! I also do polish for anxiety-inducing situation, but mostly ones where I'm worried about social interactions. This look is fantastic! Wow, that polish is so pretty!! The stamping works really well with it! A www I'm glad you found a way to at least take the edge off the anxiety. And a Louboutin in exchange for wisdom teeth is more than a fair trade. 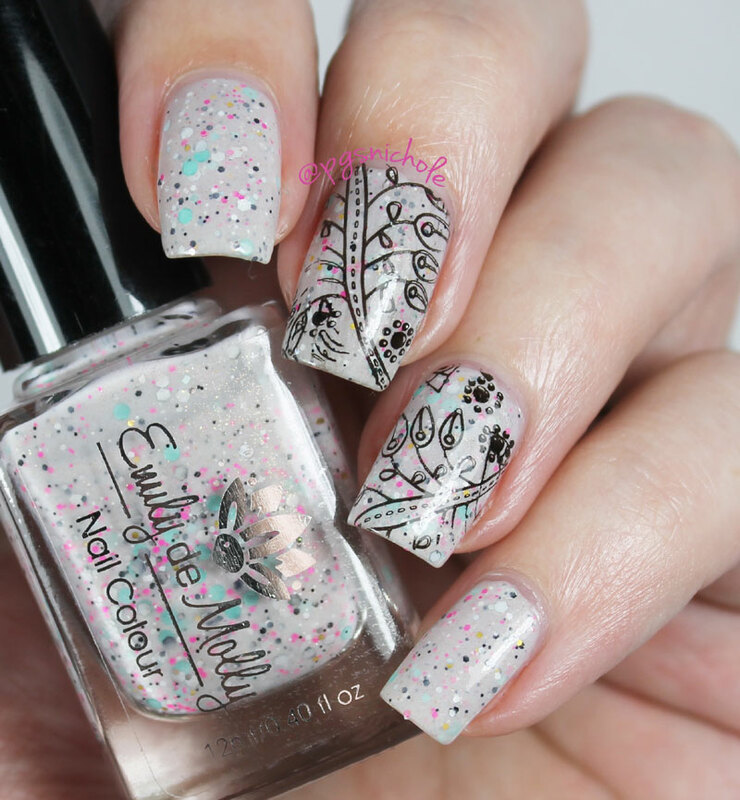 The polish is super pretty and your stamping really enhance it ! Lovely ! I have never thought of a special polish for my dentists appointment, but then, my teeth are all healthy so I guess it's no big deal for me! Lovely polish and manicure. The very thought of visiting dentist scares me. I'd rather bear tooth pain than visiting dentist, lol! I hope doomteeth days will now leave you alone the rest of this century! But I bet this mani worked to calm you down, it is lovely! Emily de Molly is just pure perfection - love her creations!